The first game had more costumes. Yeah, and most of them were awful. Blade’s costumes immediately come to mind. Hell, Silver Surfer’s were all the same model with different buffs. The character models in MUA2 are leaps and bounds over MUA1. If I was one of the game’s designers, I would have said “to hell with alternate outfits altogether. This is what the heroes look like, this is good enough.” People should be happy that they said “ok well maybe we could at least toss in one alternate outfit each character in an attempt to please everyone.” It really boils down to this: Do you want more low quality stuff, or less high quality stuff? Would you rather the artists take more time to throw in extra character skins, or work on making the models that they have the best that they can be? As far as outfit choices go, the designers obviously tried to pick ones that were more relevant to the timeline, with few exceptions. Personally I think it would have been incredibly odd to see some people in their classic outfits running around in this realistic environment, with the music and the presentation and everything the way that it is. Penance is still a new character, and considering all of the alternate outfits are based on actual designs, they really couldn’t do anything for him short of having Speedball be his secondary. Wolverine and Luke cage have fine secondaries, as they actually tie into the storyline. Real comic fans would be aware of this. I’m also glad that passive buffs aren’t linked to outfits anymore. I really hated running around as “Night Elf” Blade to get the best boosts. The character lineup is lacking. Sure, we lost some characters, but in return we got some new ones that are more fun to play as. I’ll gladly take Songbird and Iron Fist alone over ANY of the characters from MUA1 that were excluded. Sure, we could argue that the old characters are cooler than the new ones, but I’d have to fire back with the fact that those characters are old news, and this game is about current events in comics. I know I was excited to learn that I could play as the Thunderbolts, for one. This argument goes doubly for the alternate outfits that were different characters. When was the last time Beta Ray Bill or Ben Reilly did anything relevant? How much sense would it make for a dead Spider-Man clone to be running around during a time when everyone knew that Peter Parker was Spidey? As far as the total character count being lower, we got more unique characters. 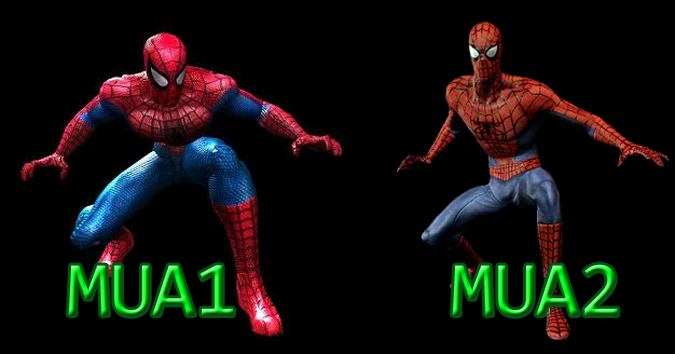 A lot of people in MUA1, ESPECIALLY the exclusive guys (Colossus, Moon Knight, and the 8 DLC guys) shared moves and animations, as well as a few of them playing almost completely similar to other characters in the game. Don’t believe me? put Luke Cage, Colossus, Thing, and Hulk on a team together. Compare and contrast. Everyone in MUA2 not only has different animations, but they all have to be played with a different strategy. This goes back to the “Do you want more with less polish, or less that’s more refined?” question. I feel that they’ve trimmed the roster to concentrate on making the characters more unique. The story doesn’t include Galactus/The Shi-Ar/Dr.Doom/ect. MUA1’s plot was a great throwback for longtime fans, but honestly some of those story elements were borrowed from arcs that happened fifteen or more years ago. The Civil War is not only more current, but more close to home. Much how culture and times have changed in real life, so have things changed in the comic world. See that video off to the side? Click on it. Listen to Titanium Man’s speech, the music, the way he dies on the steps of the monument. It all touches close to home. At least for me, It has an impact. This isn’t a game that’s supposed to be romanticizing a bunch of guys in spandex going on wacky adventures. It’s a game that’s supposed to be showcasing a bunch of guys in spandex wrestling with morality. What I’m saying is that while the first game was a neat tribute, the second game has naturally progressed as it should have. Yeah, I agree that I would have liked the leveling to be less watered down, and I miss being able to customize how my characters play (Thor being a crowd clearing physical powerhouse or a hammer throwing, lightning striking projectile maniac, for example) but the fact that you can swap out heroes at any time, doubled with the knowledge that every hero plays differently kinda nulls that problem. It seems that in this game they really worked hard at making it so people would have a reason to try everyone out instead of just making a favorite team and keeping it for the entire game. I don’t mind the lack of being able to remove slots from your team, as a game about an alliance shouldn’t really be played with a single character, and with the new setup for the healing, revival, and fusions replacing X-Tremes, you kind of NEED a team. 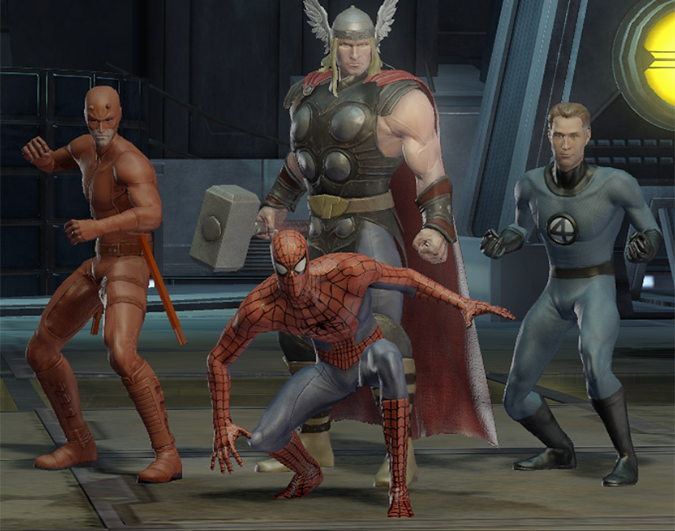 Boy, I sure wish I could only play as ONE of these guys in my team-up game! Some of the fusion attacks are the same as others. Even with a smaller roster, how long do you think it would take to create, model, animate, and map out unique fusion attacks for all of the combinations of characters that are possible? Aside from time restraints, it would break the game play. With a certain set of abilities that you know you always have at your disposal, you always know what moves to use for what situations. Would you really want to have to pause the game and swap out one of your characters every time you wanted to do a certain fusion? They gave you enough detail on the little flourishes that accompany the attacks to make them unique (Cap breaks the ice off his shield after doing a fusion with Iceman, Wolverine growls in pain after doing a fusion with Iron Man, Thing holds his arm out like a football player while doing a fusion with Sue). Here’s another way to think about it: If you were a superhero, and your super power was super strength, and you had a guy that shoots ice, a guy that shoots fire, and a guy that shoots electricity on your team, what would you do differently with the three of them as a team up move? I know I would probably keep doing the ole “load the rock up with ice or fire or electricity and throw it at everyone” trick that worked so well the first time. 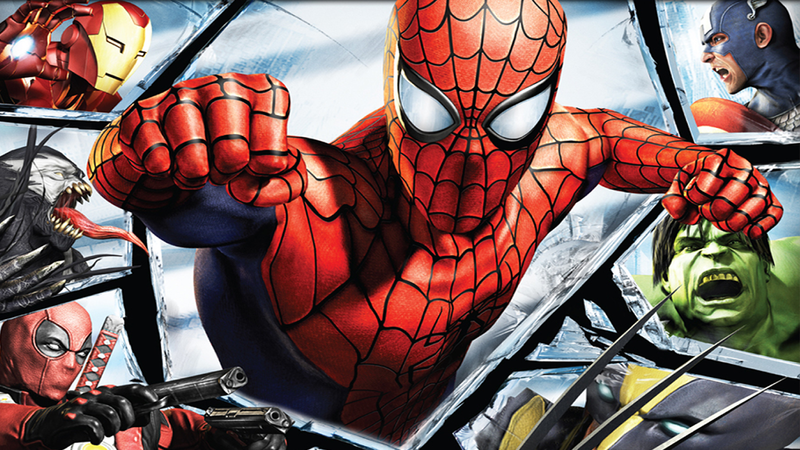 Whaddaya mean Spider-Man ALWAYS uses his trademark webbing?!?! So in closing, I don’t feel that they’ve moved backwards with MUA2. I feel that they moved in the exact direction that they had to, and I am very happy with my purchase. I just think it’s too easy for people to complain about what was taken out and not see what was added. The game has a whole new physics engine, for example. you can pretty much interact with everything in the environment. you can break open a crate full of grenades, throw all the grenades and the box that they were in. you can break a car apart and throw all the individual pieces, you can throw a van into a crowd full of enemies and then blow it up. Quit being a bunch of crybaby idiots and enjoy the game for what it’s accomplished, or at least shut up and go play your glitchy PS2 game.